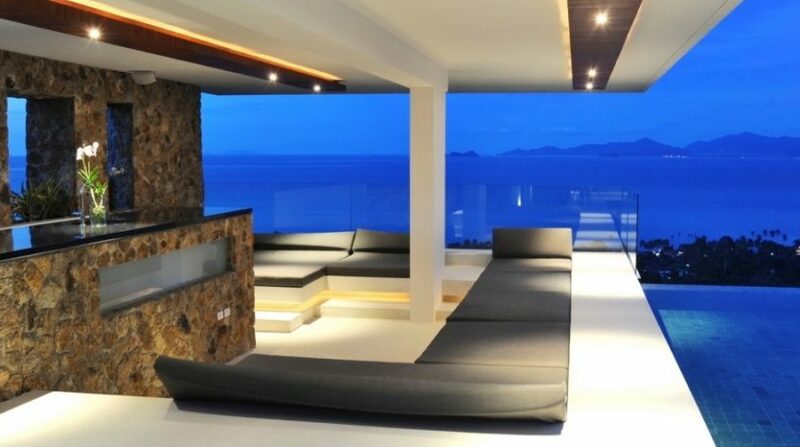 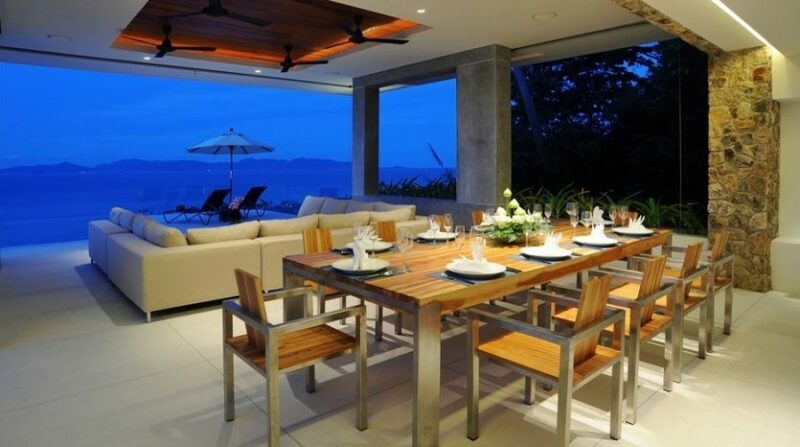 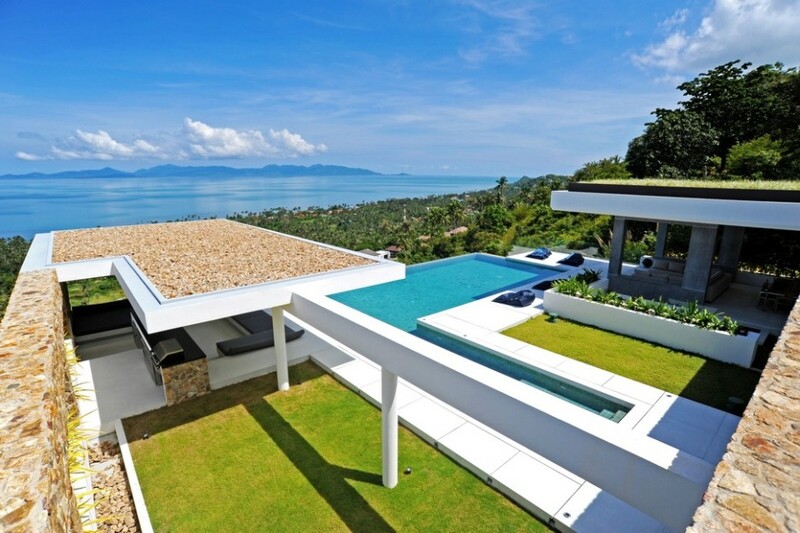 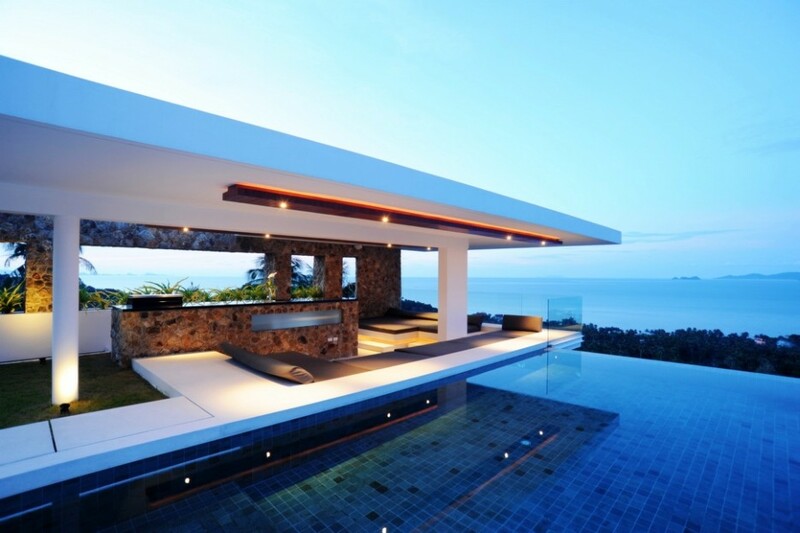 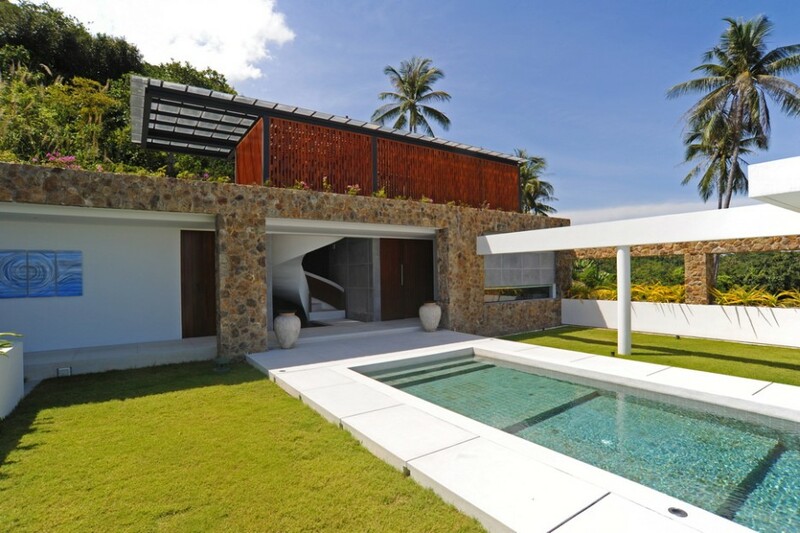 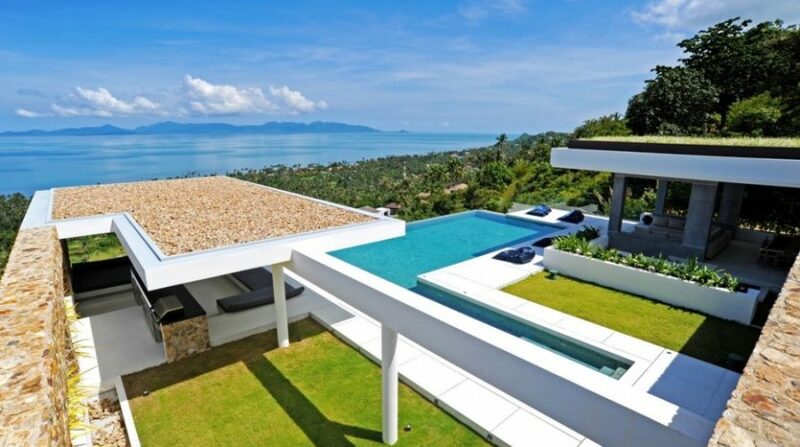 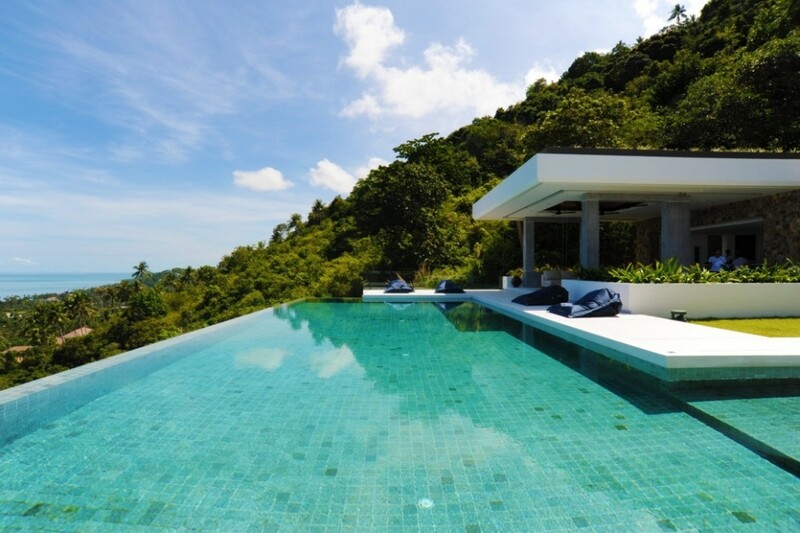 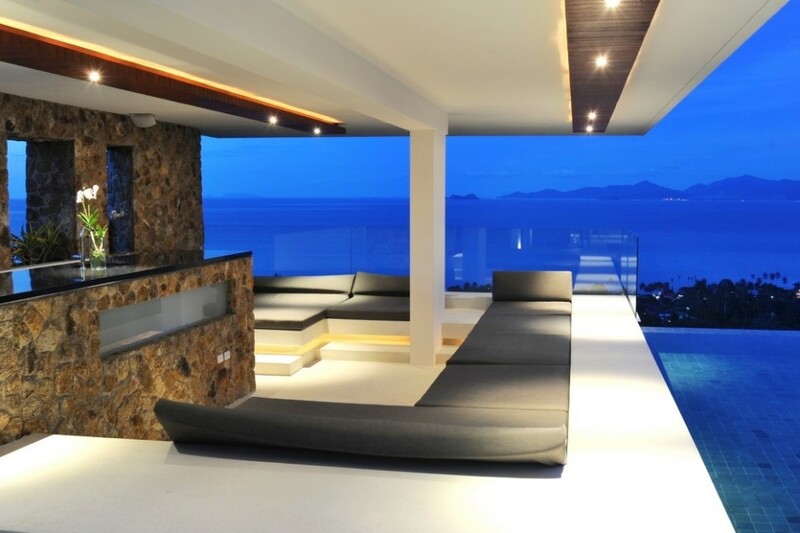 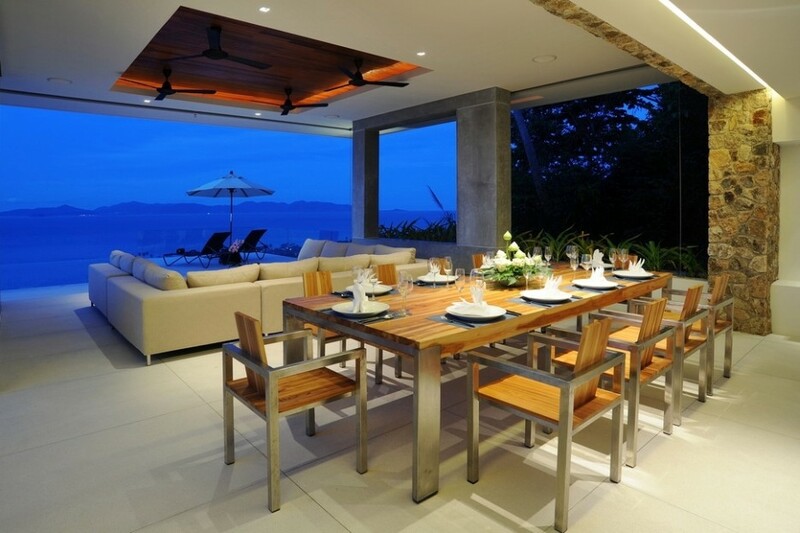 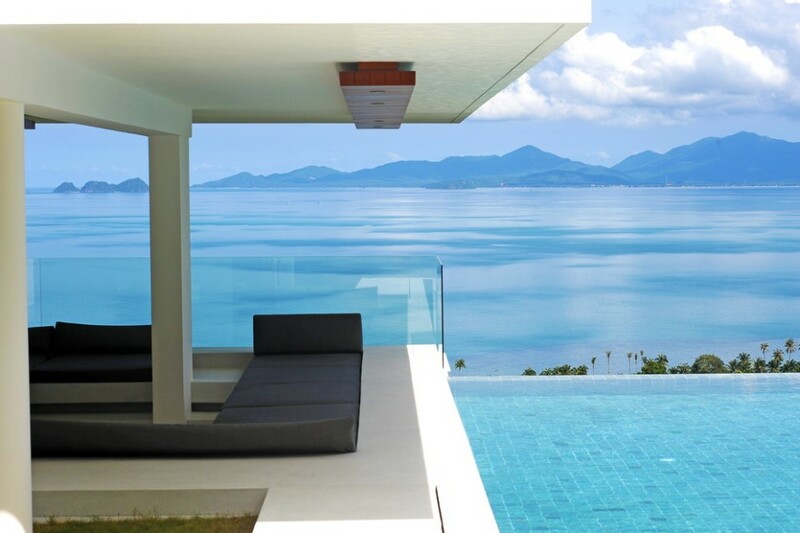 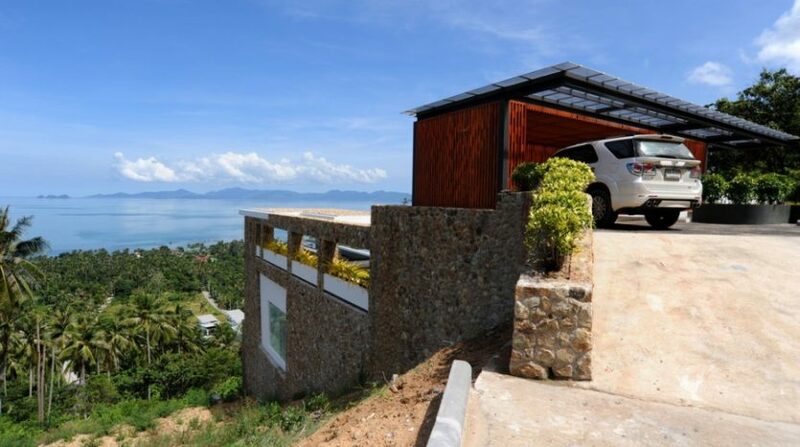 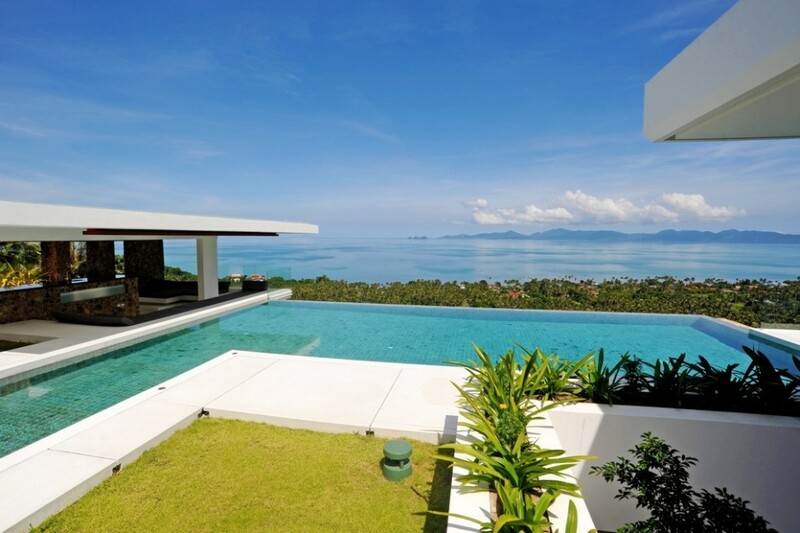 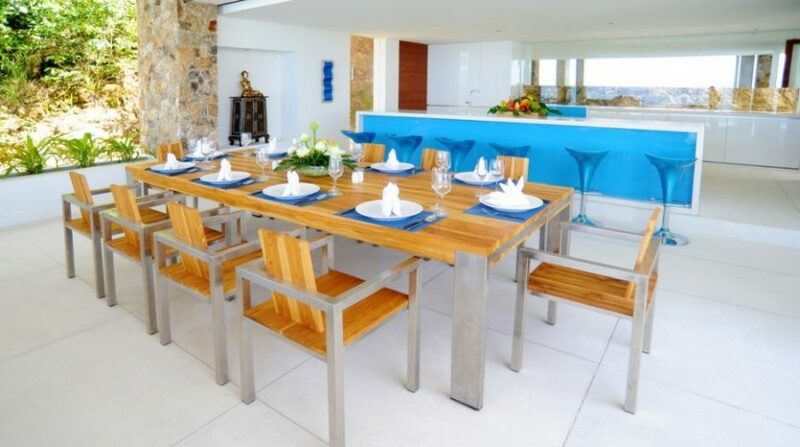 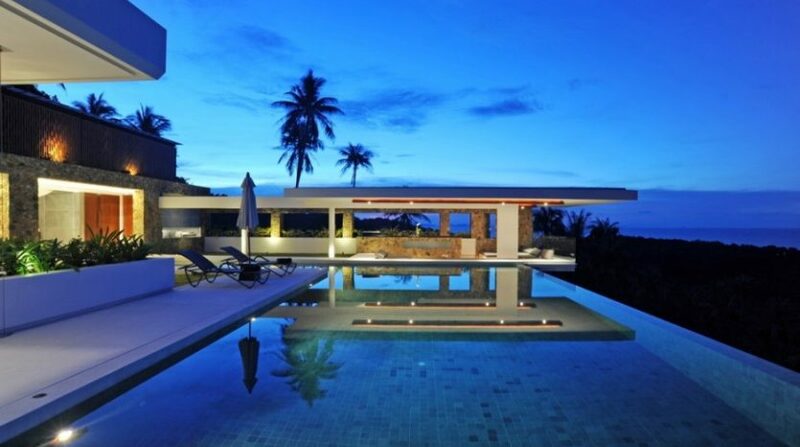 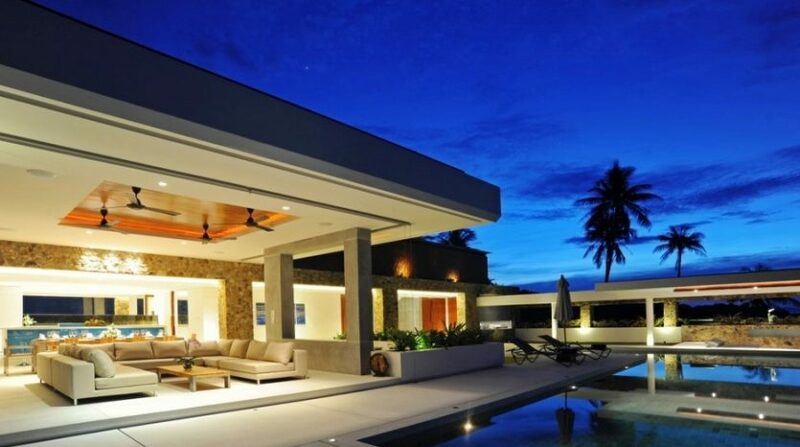 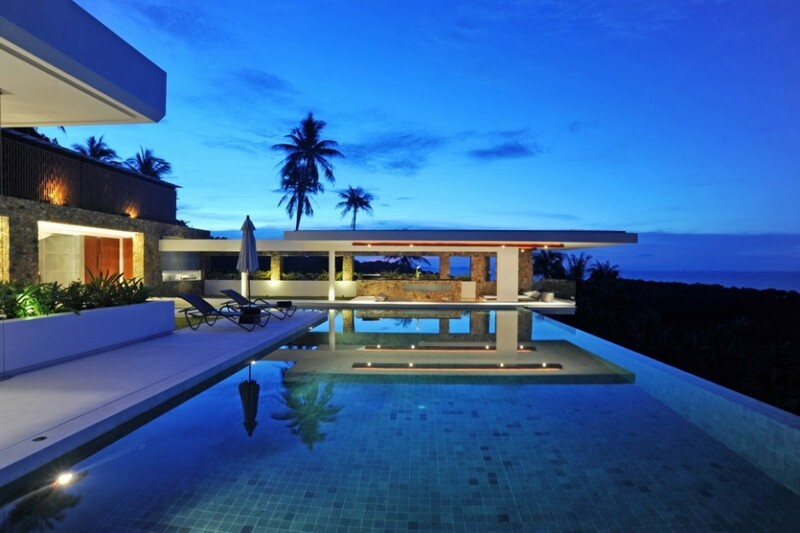 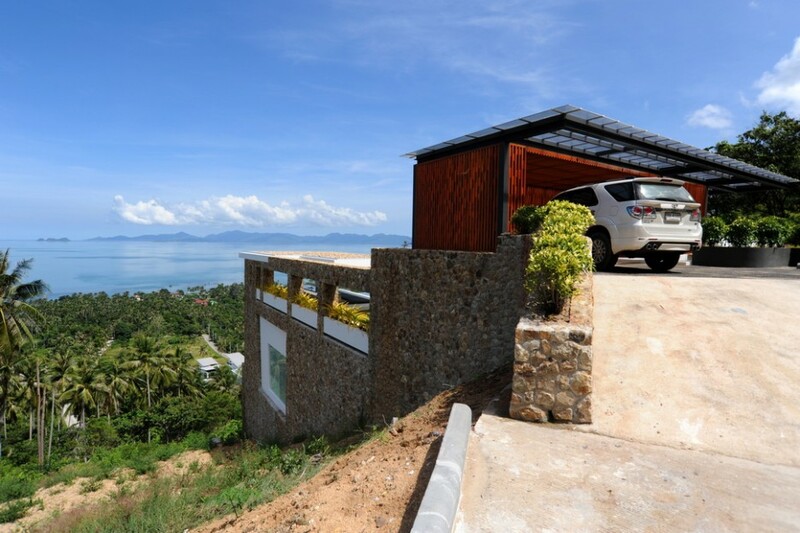 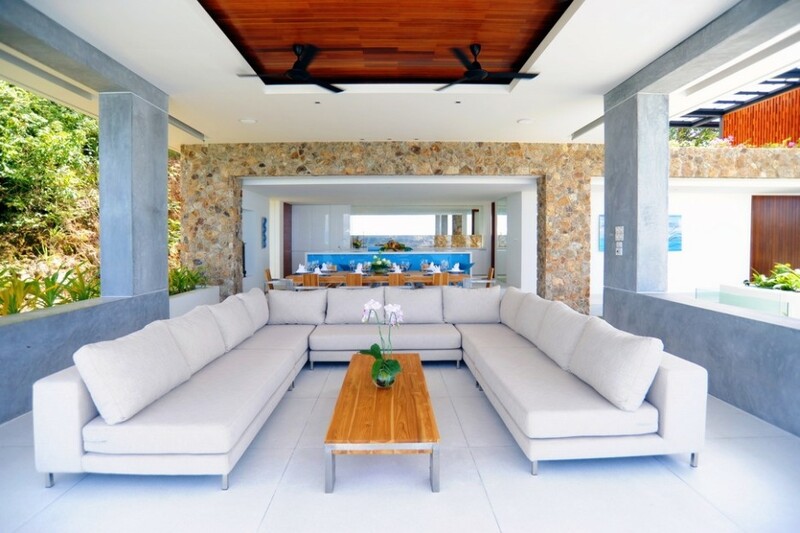 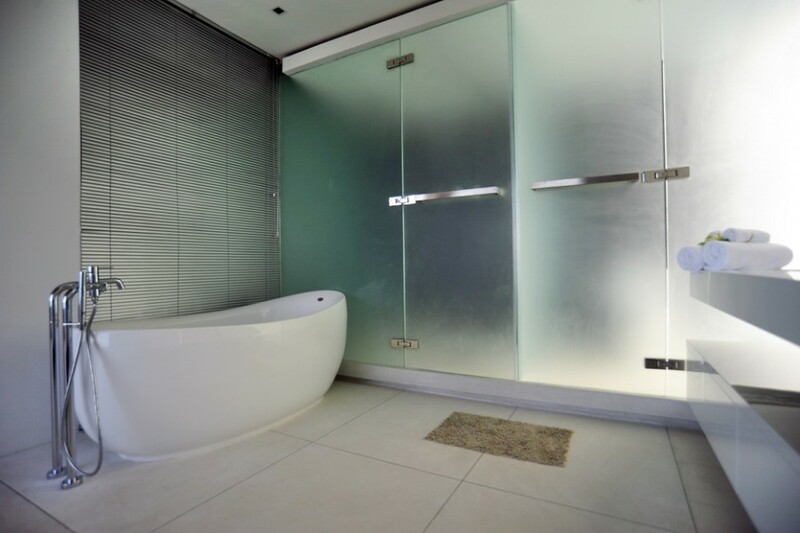 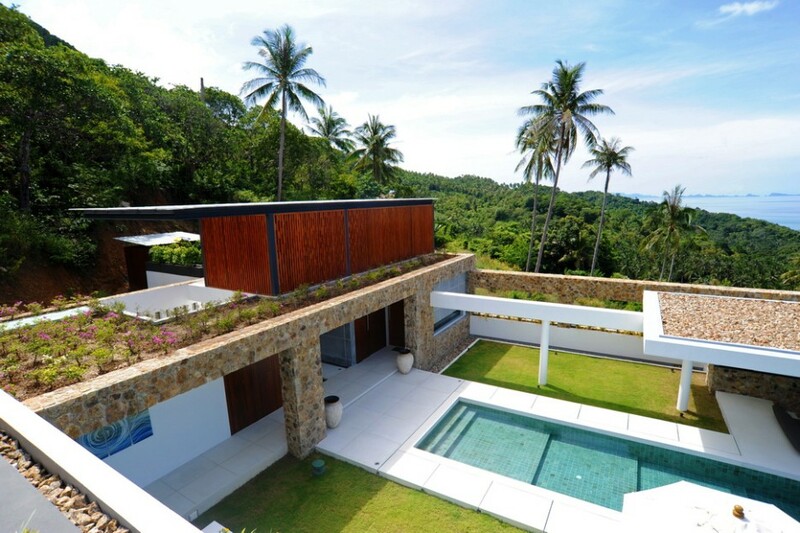 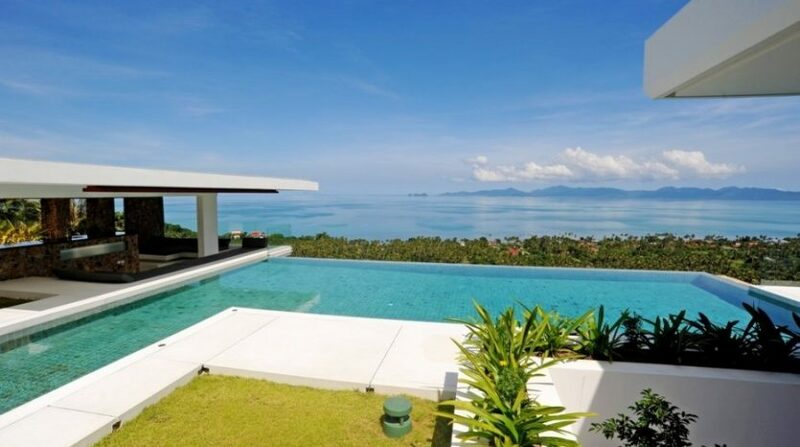 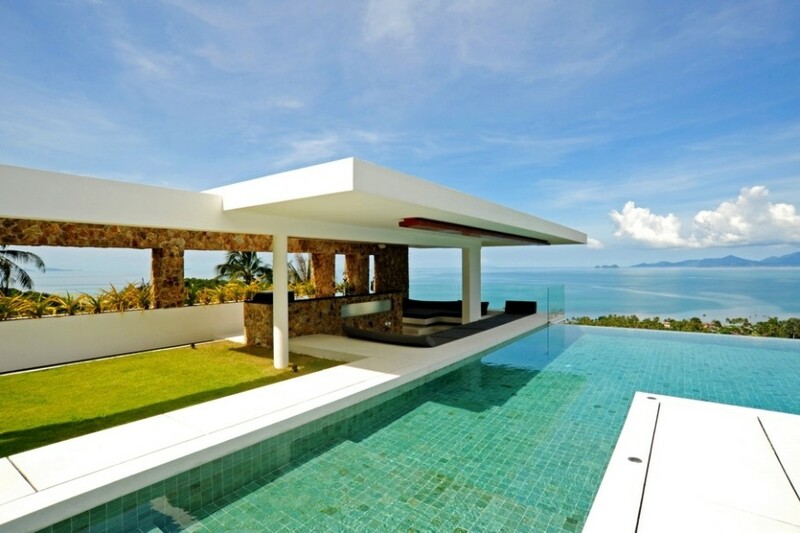 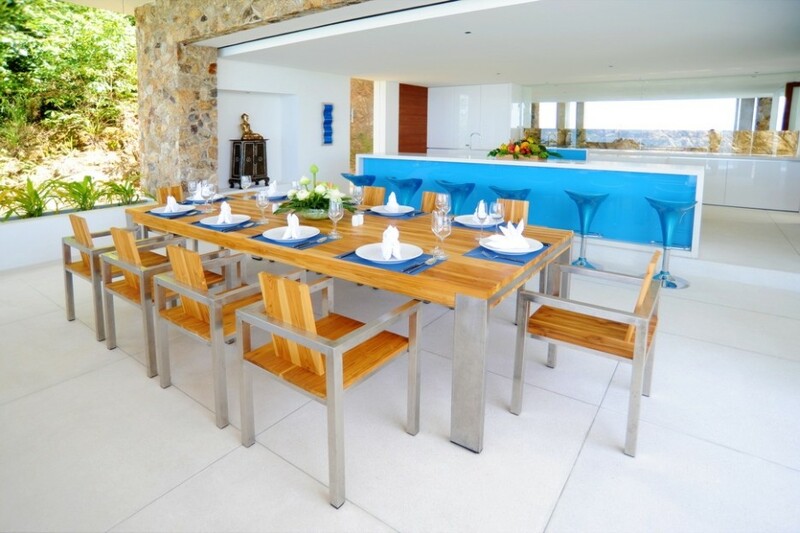 Designed by the multi-award winning GFAB Architects, Villa Blue See is perfectly named. 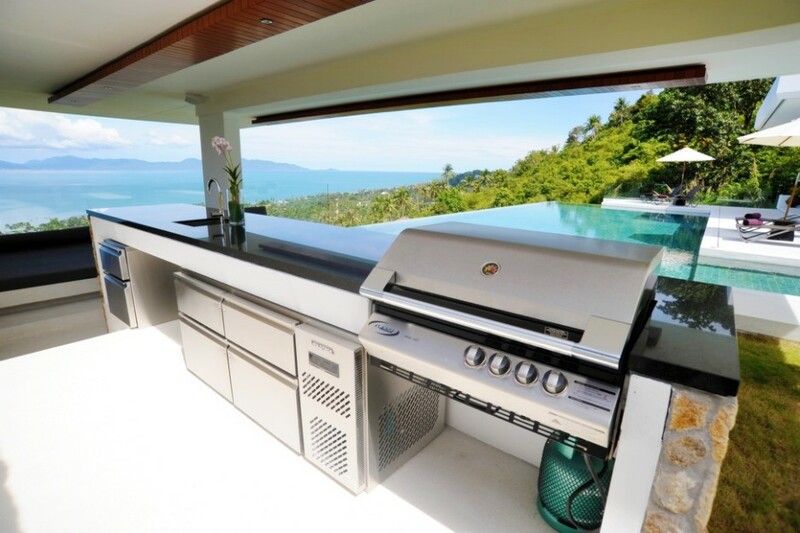 The intuitive layout is a good example of GFAB creator Gary Fell’s exceptional vision. 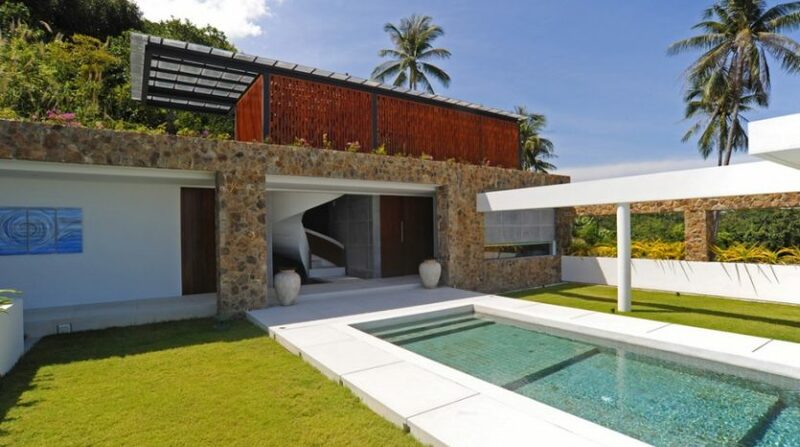 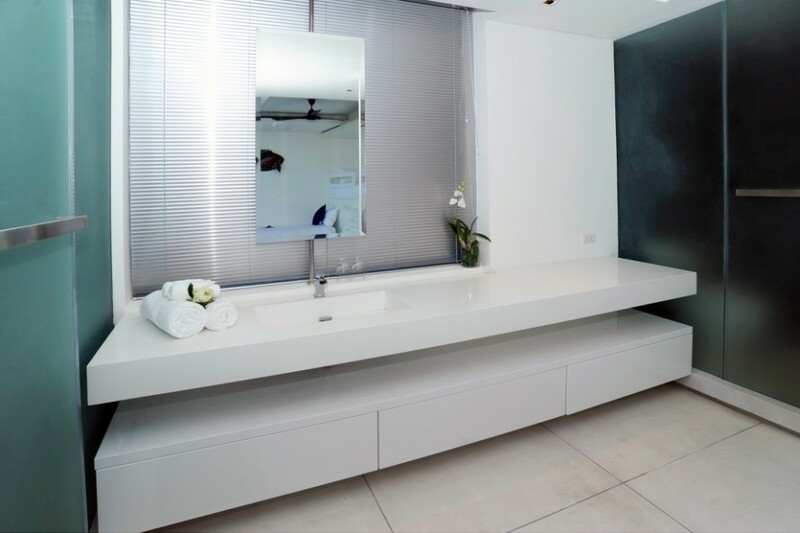 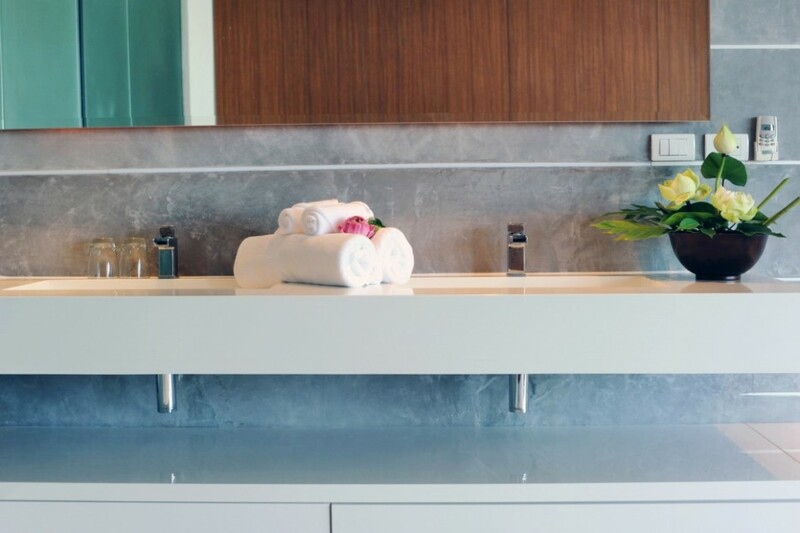 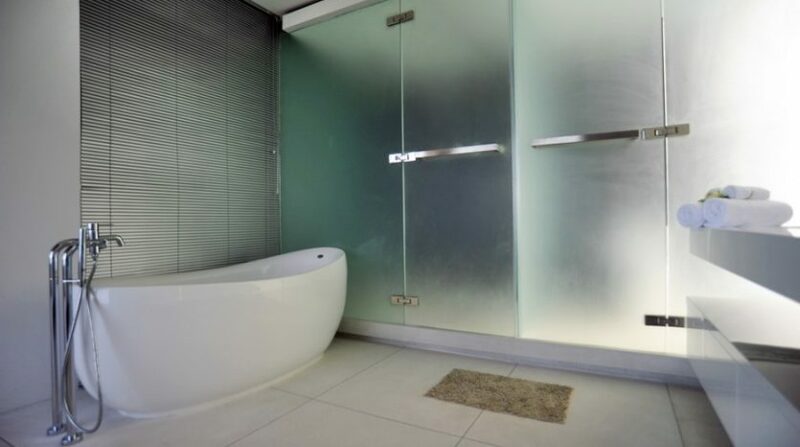 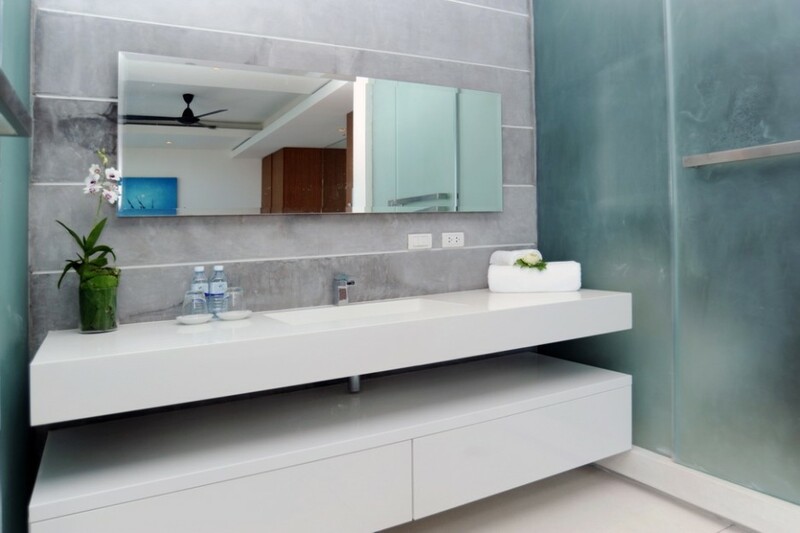 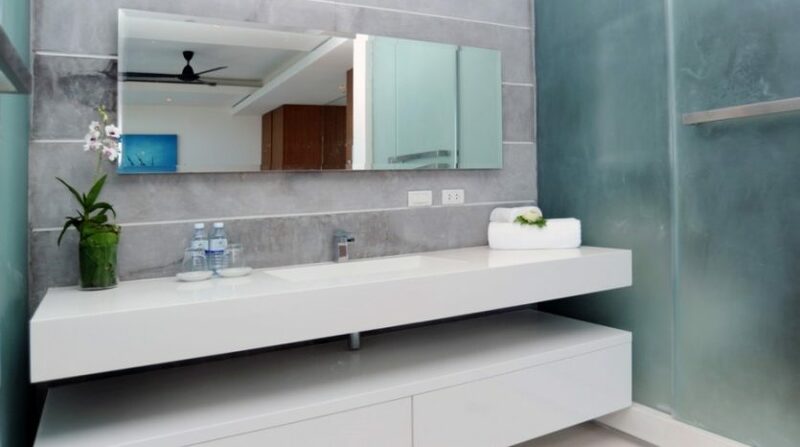 Assertively contemporary architecture and minimalist styles take complete advantage of the prominent place and guests gain from an accomplished balance of refined luxury and organic attractiveness. 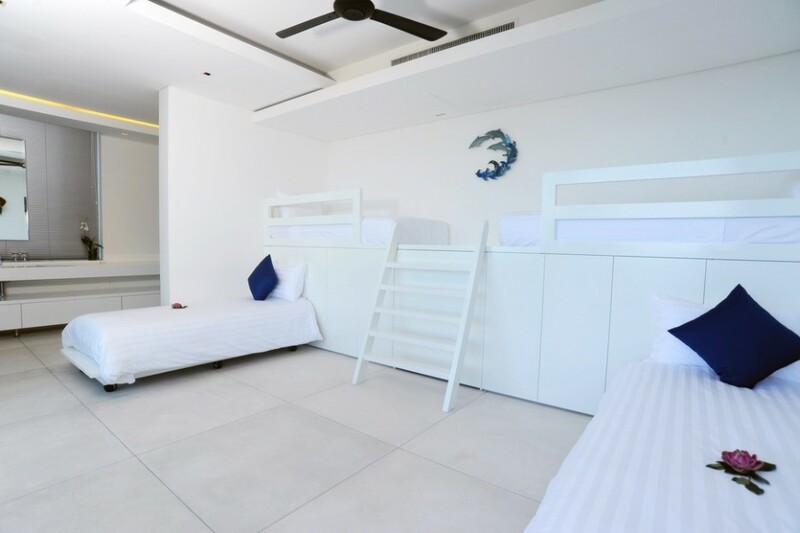 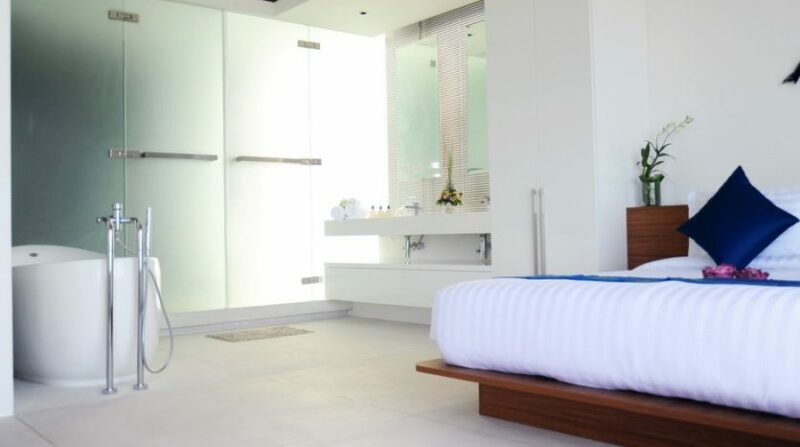 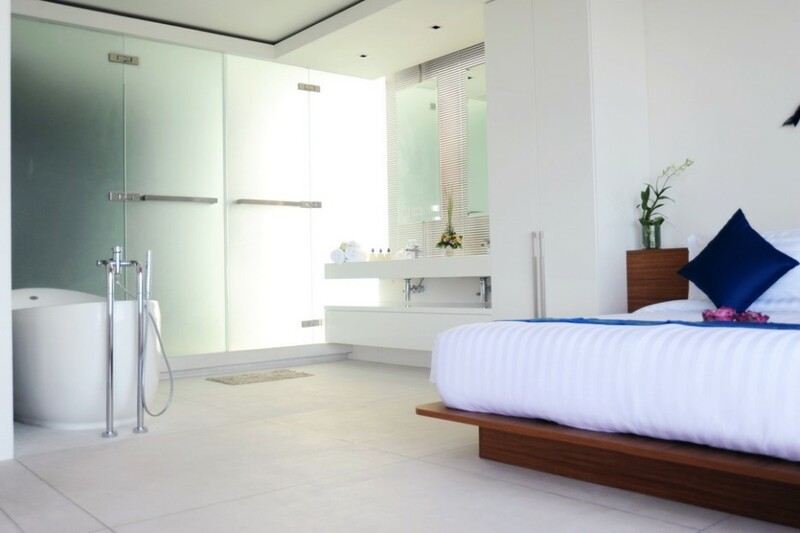 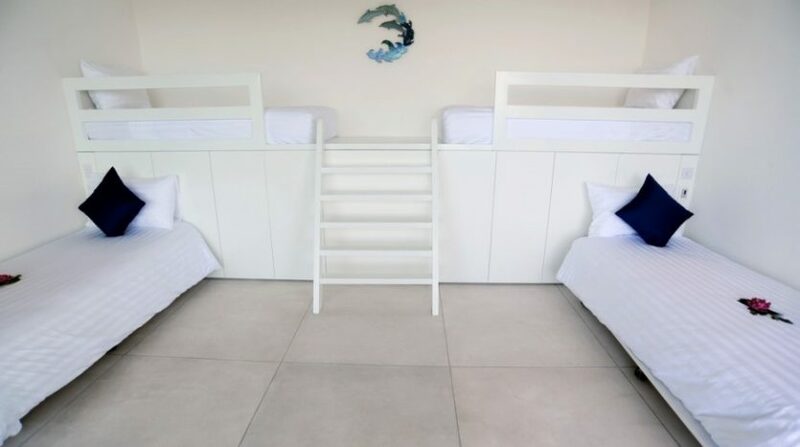 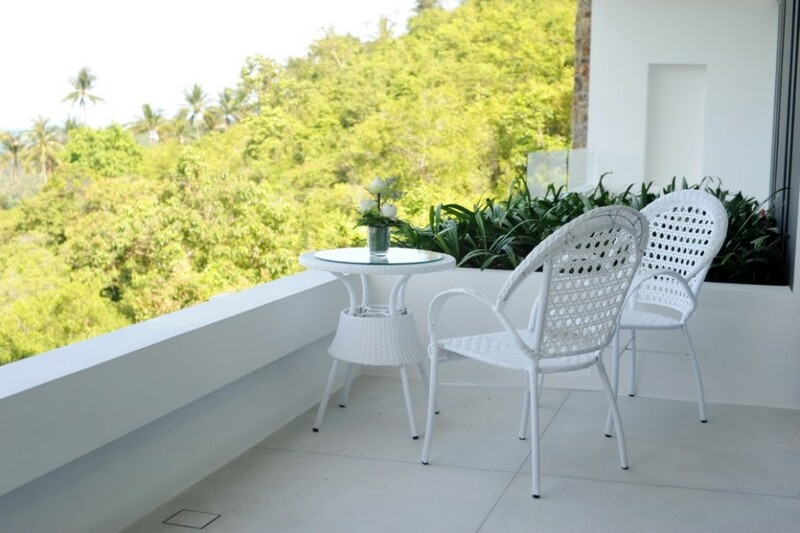 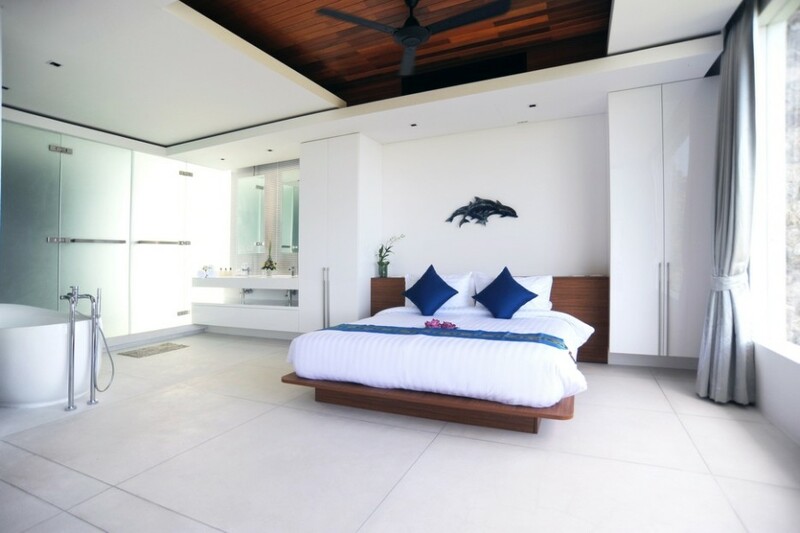 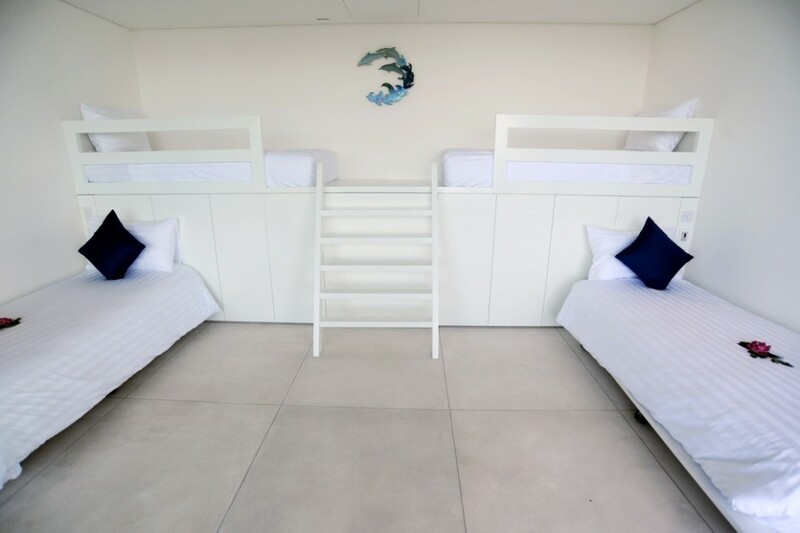 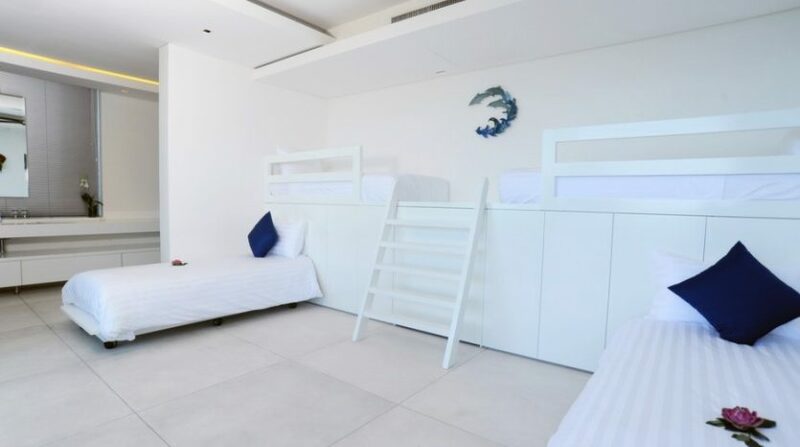 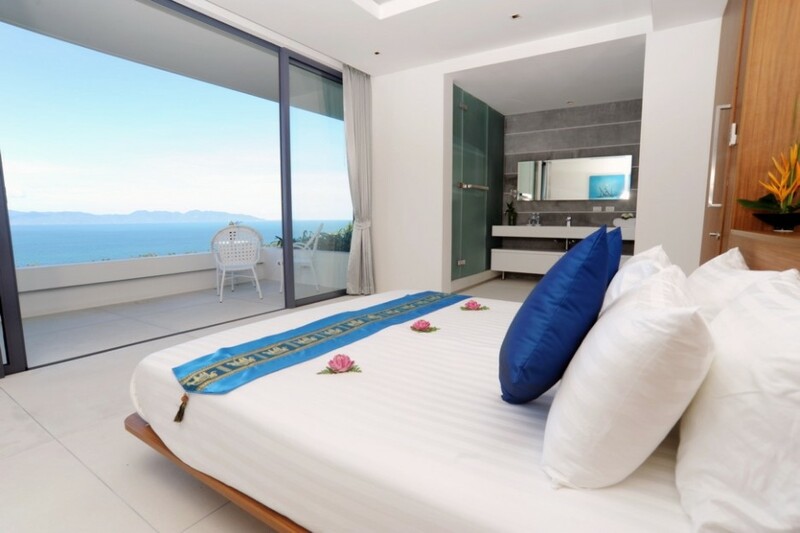 Private comfort, simplicity, and leisure are essential to the personalized vacation experience available at Villa Blue View. 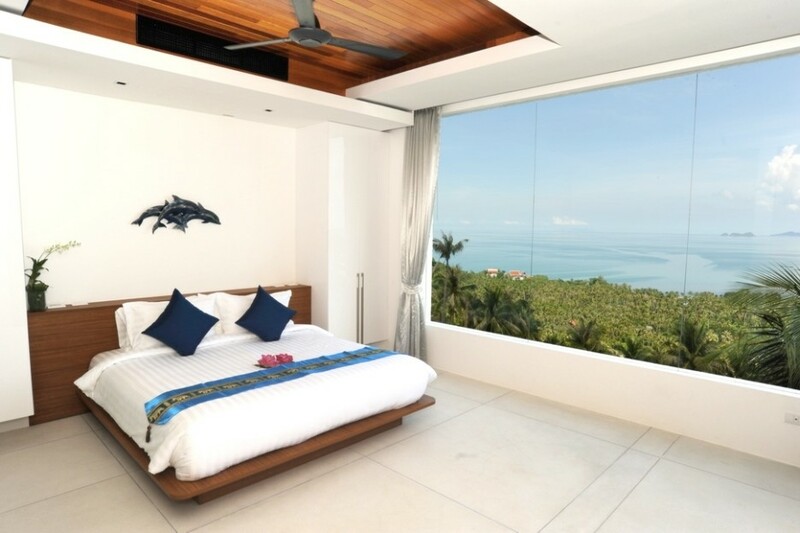 The generous infinity-border private pool actually pours to the soothing ocean views and thoughtful additions include built-in cushioned daybeds and also a state of the art grill unit in the pool-side and sala. 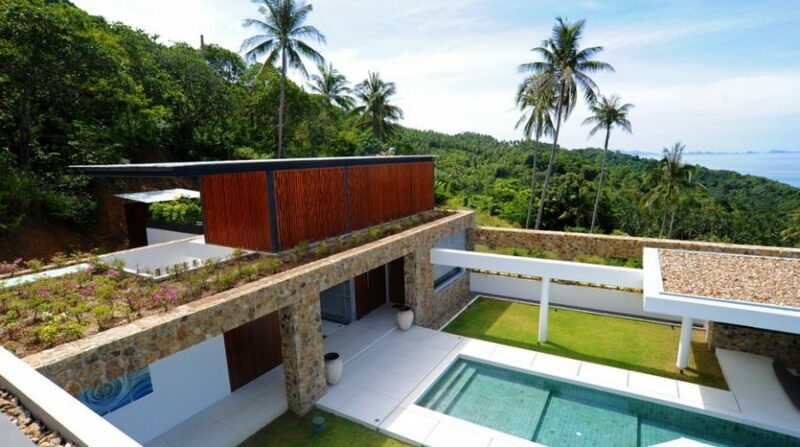 Attractively put garden locations punctuate the dwelling spaces at all ranges, surrounding the villa with tropical greenery while industry leading technologies compliment the normal atmosphere. The committed AV area features a-60-inch 3D Television with Chinese, Korean, Taiwanese, Japanese and English Television channels (including English Premier League soccer), and there’s also a state of the art Bose speaker system for audio and high-speed, fibre optic net with numerous wireless access points. 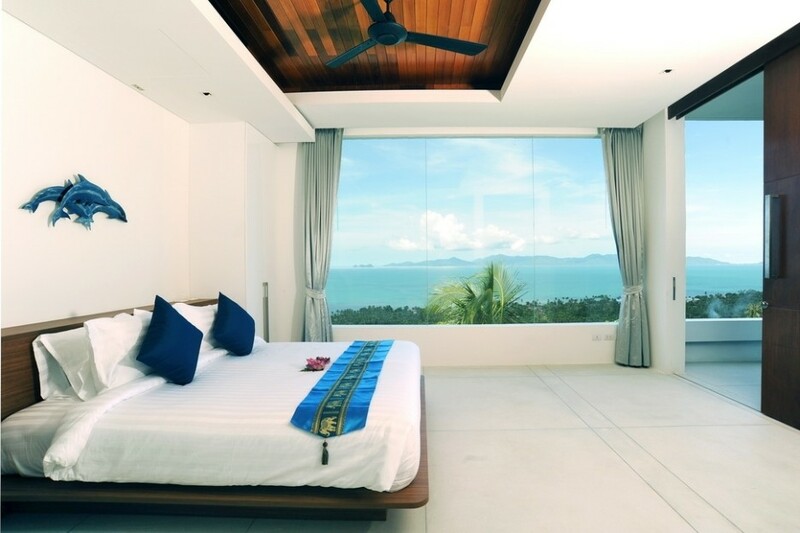 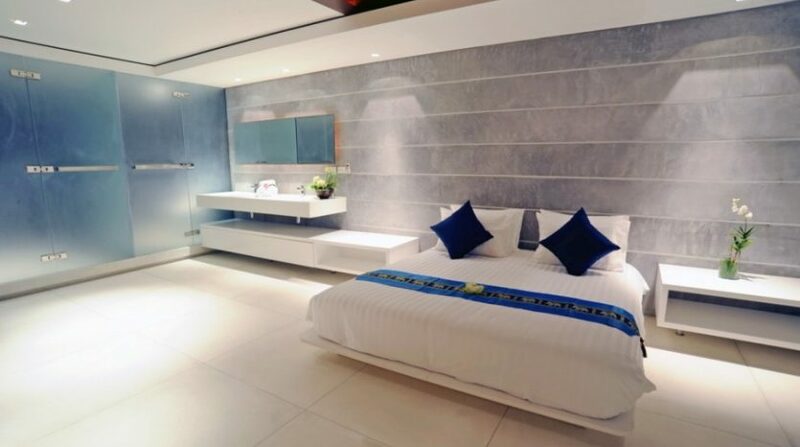 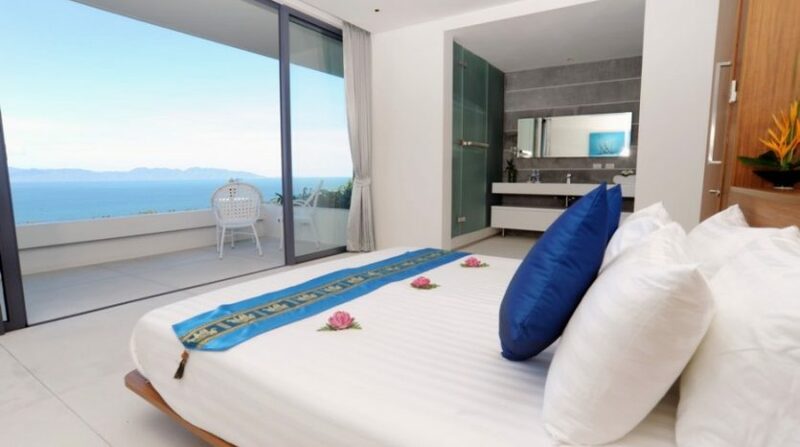 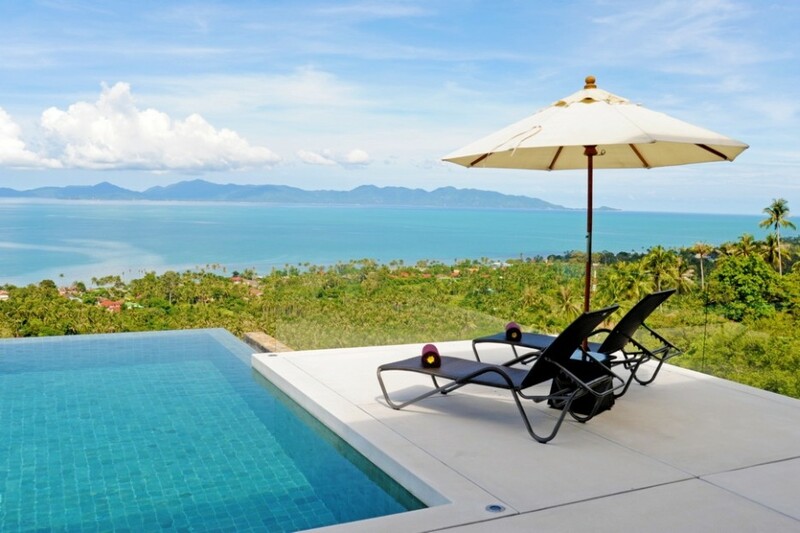 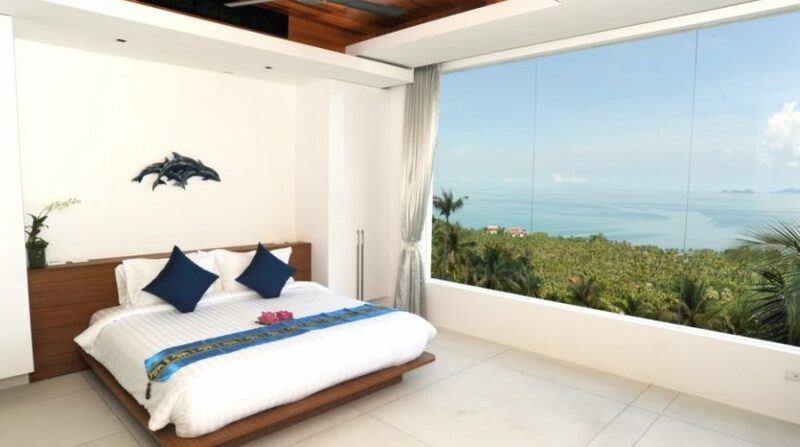 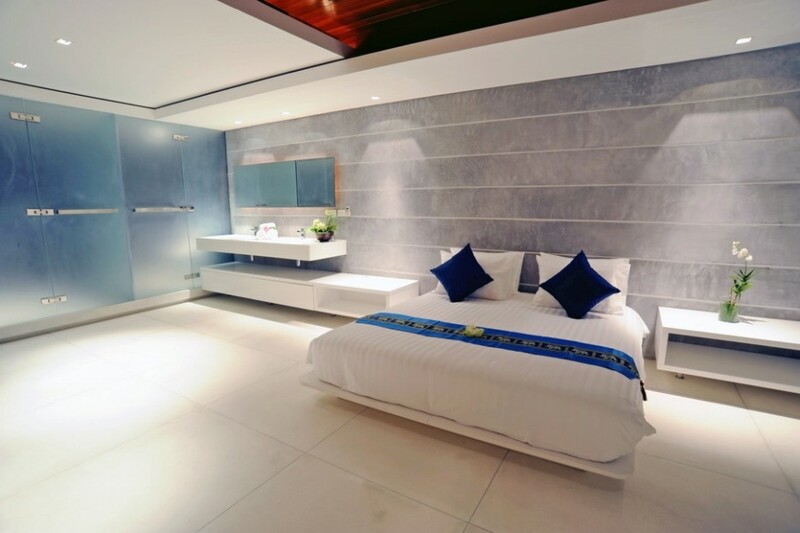 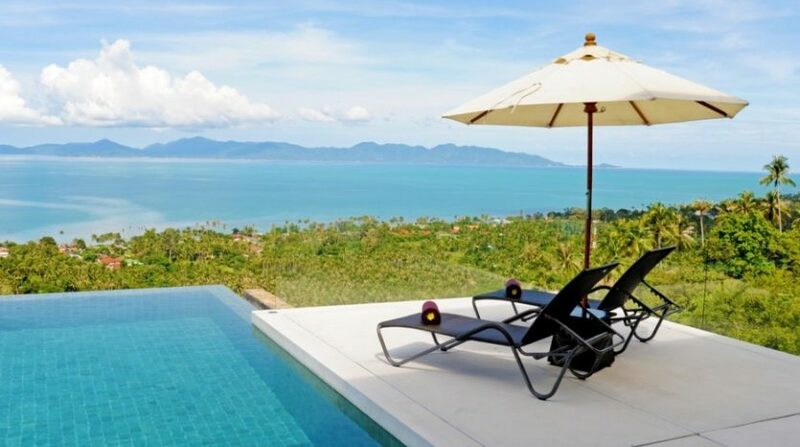 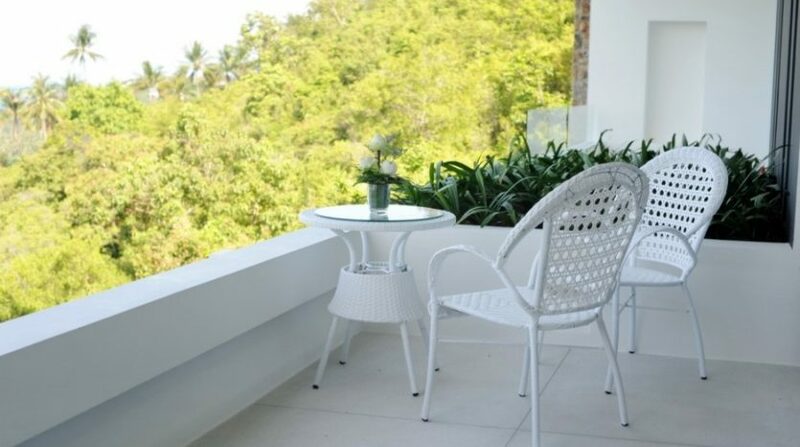 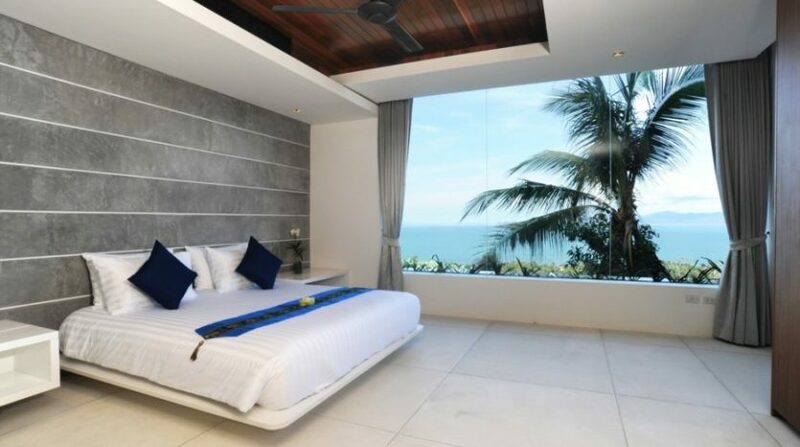 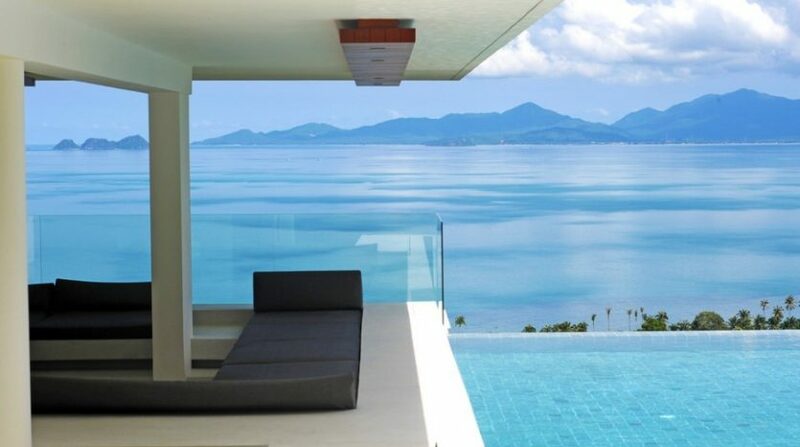 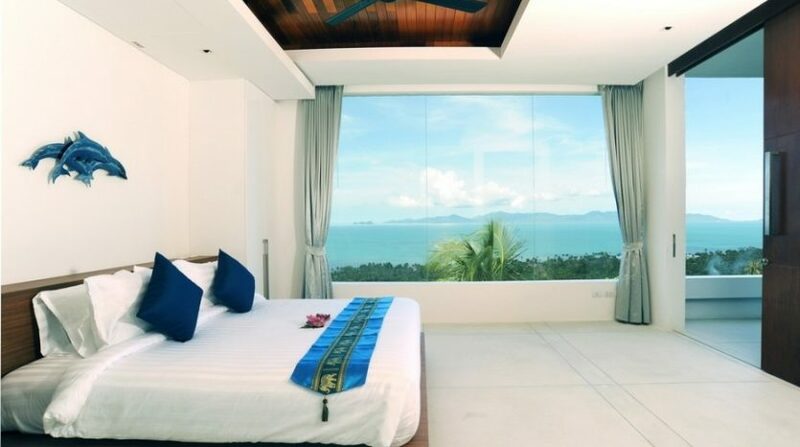 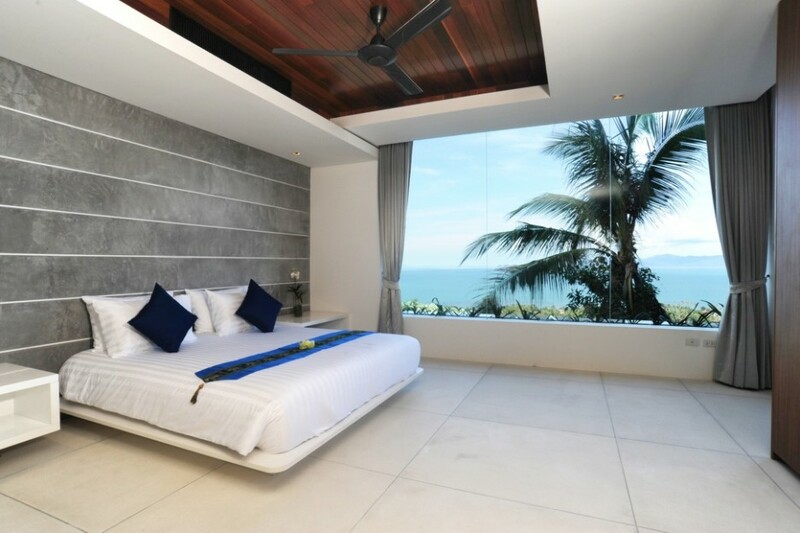 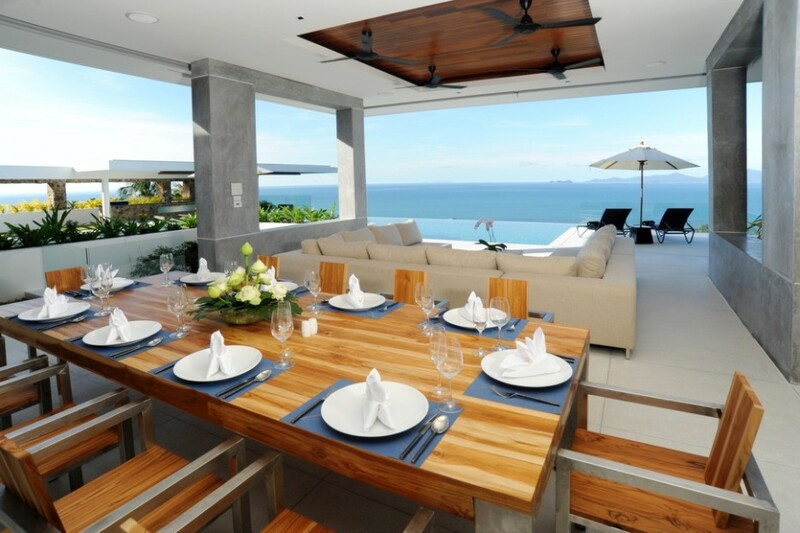 Those guests intending to explore Samui’s attractions are within easy range of numerous lovely uncrowded beaches, along with a wide selection of shopping and dining choices in nearby Bang Por hamlet or Samui’s small port city, Nathon. 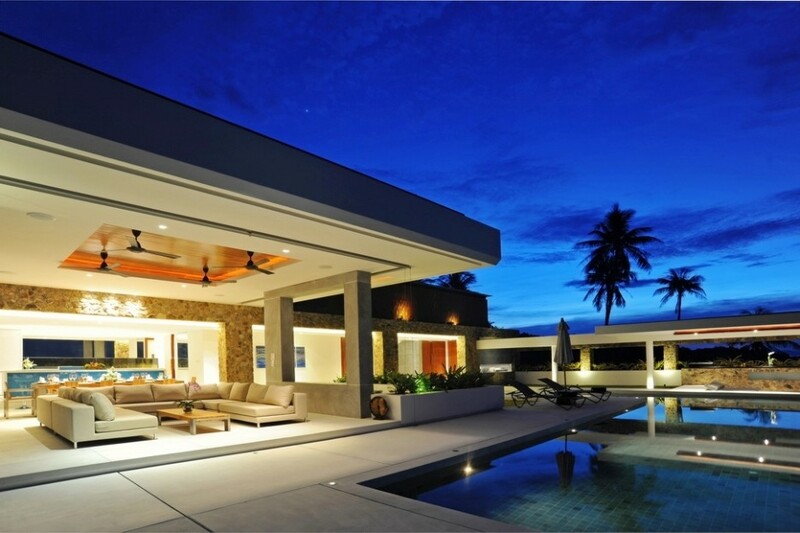 A lumber lattice-screened carport and raised entry are perched on the property’s modern level, pebble-stuffed roofs. 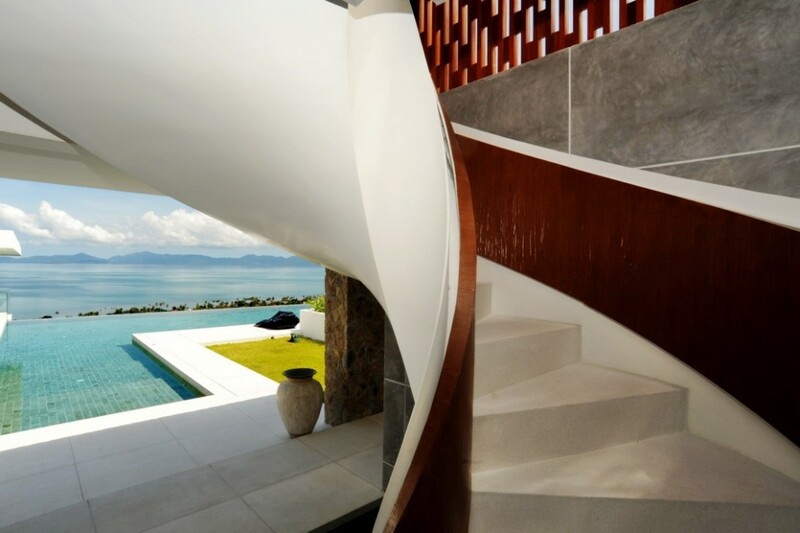 From there, a unique, molded twisting stairway descends straight to the villa’s grand outside poolside backyard and sun patio spaces, the whole space bathed in stunning island views. 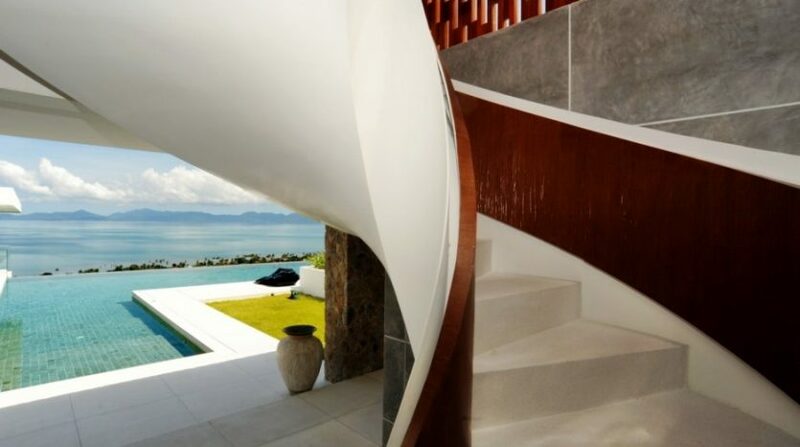 A three-metre-high black slate waterfall supporting the stairs offers a spectacular but soothing welcome with a water fountain pool at its foundation plus a paved path leading right to the view. 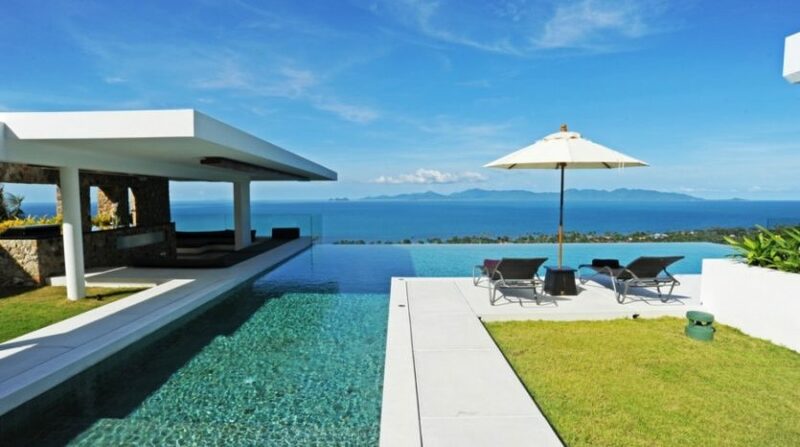 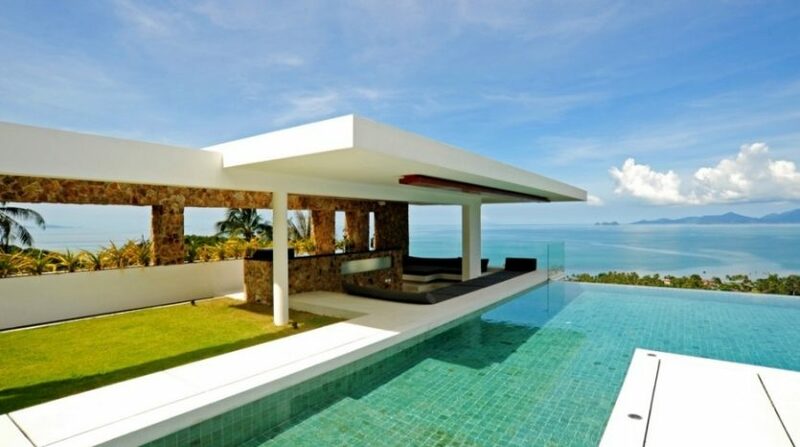 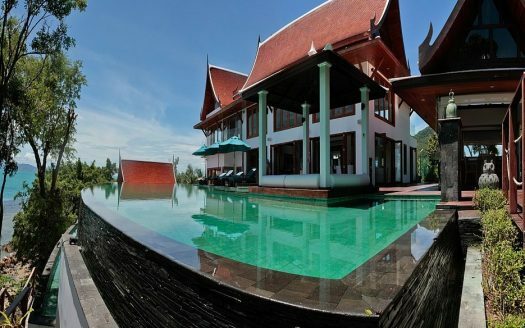 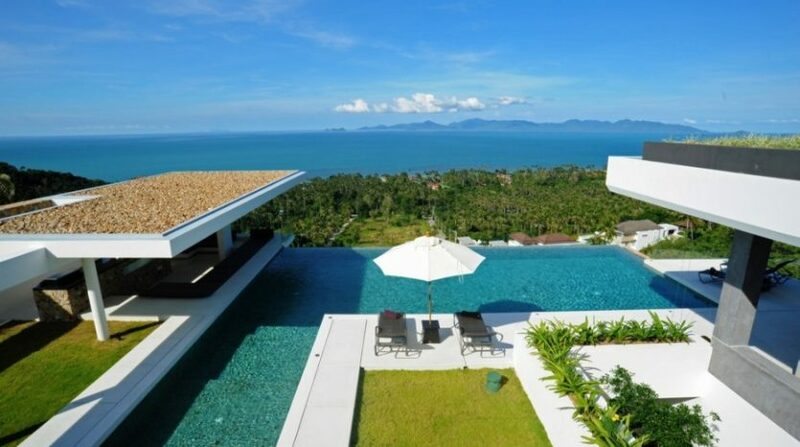 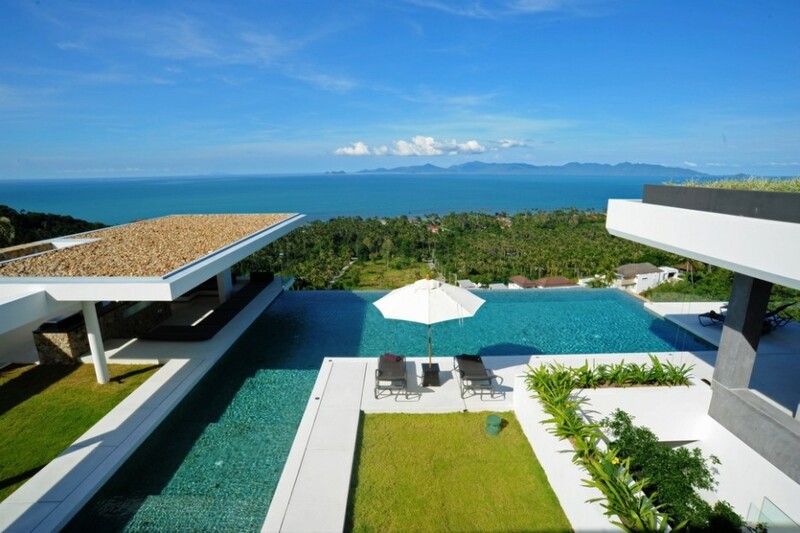 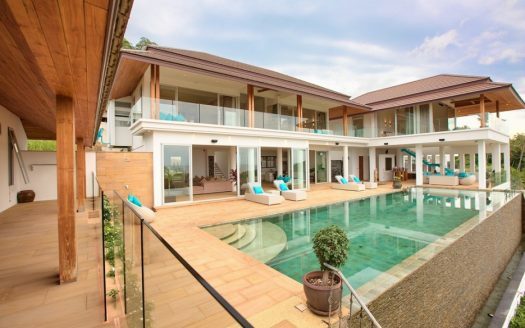 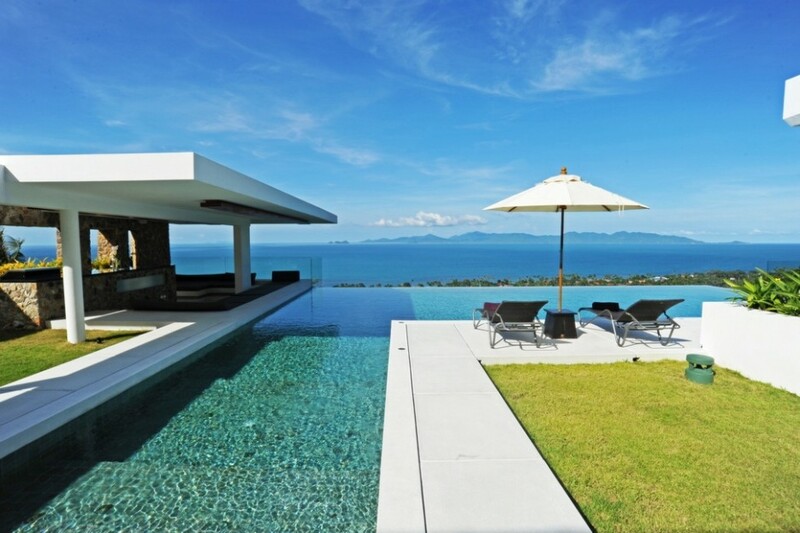 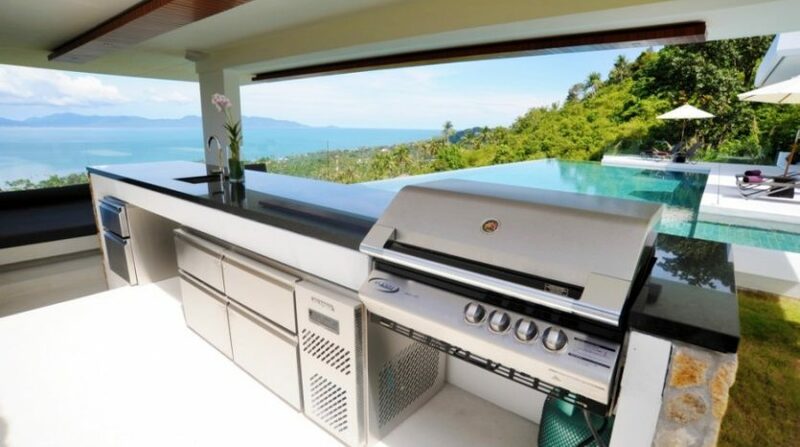 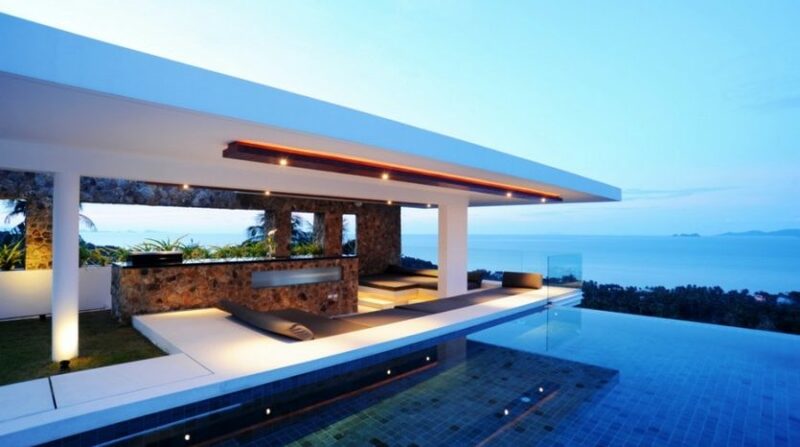 A huge, covered and furnished easiness pavillion (‘sala’ in Thai) is put to the left of the l-shaped infinity pool, with built-in couches and daybeds surrounding a marble topped bar, and also a top of the line built in barbeque and fitted cold-storage models. 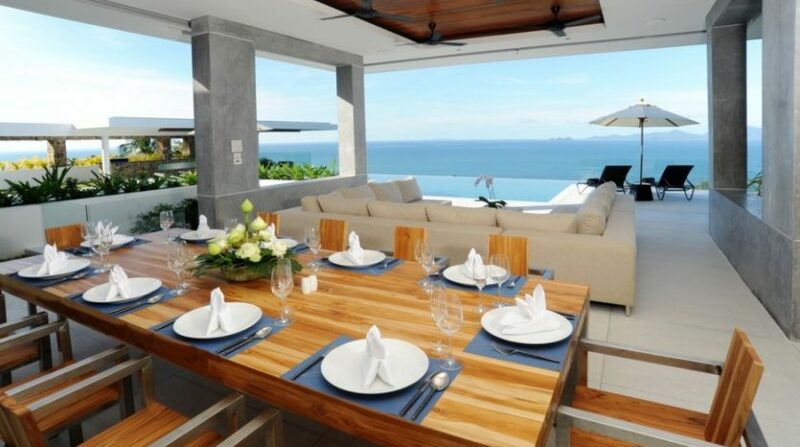 This links into a second coated sala, house to the villa’s cozy sofa, dining area, and cooking area, additionally placed to enjoy the incredible views. 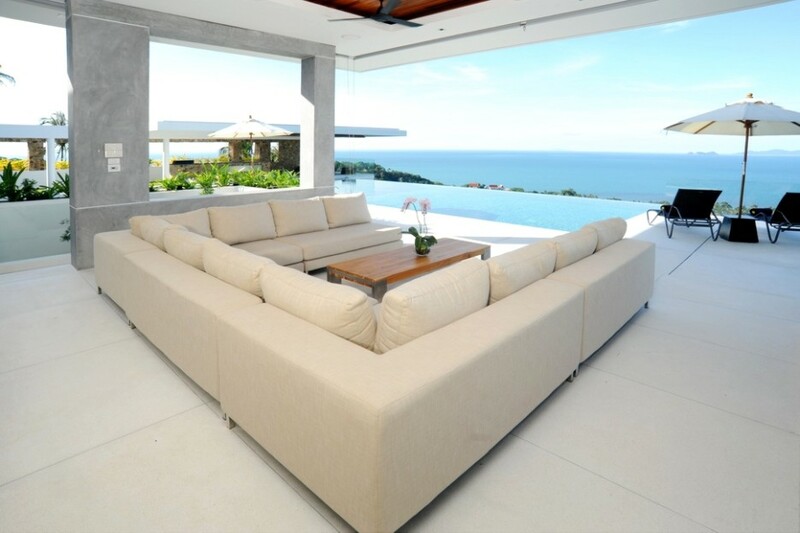 A plush, oversized couch offers front-row seats on the seascape scene, cooled by gradually spinning fans. 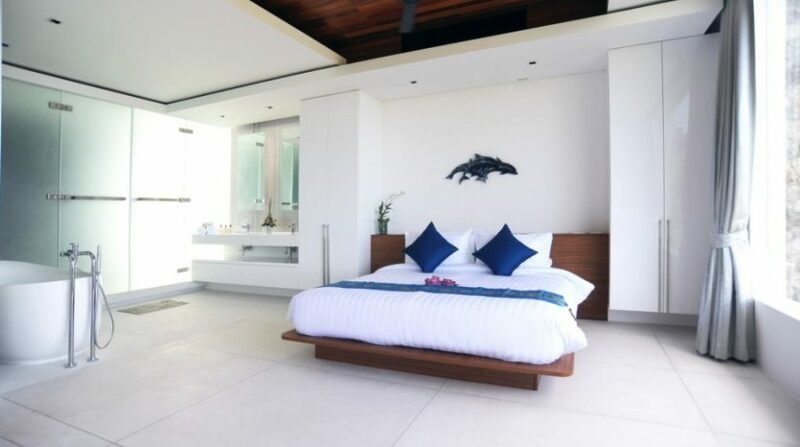 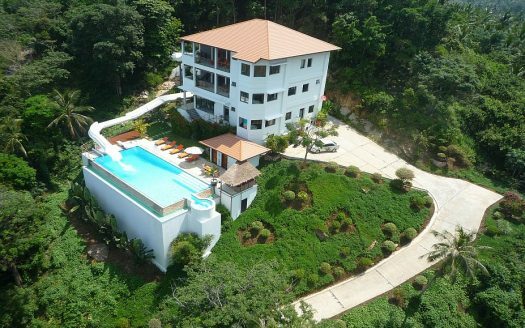 The villa also provides a dedicated AV area in the principal living spaces, using a state of the art 60-inch 3D Television as well as a media server featuring over 1000 pictures and 3000 records. 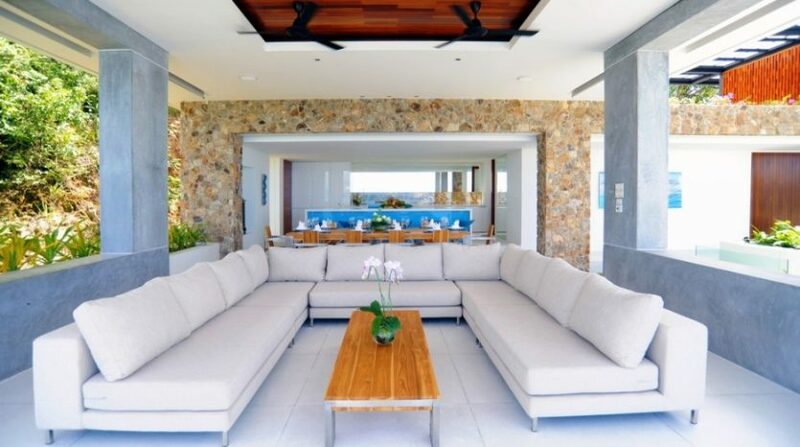 The device is linked to the most recent Bose V35 amusement system with speakers through the villas upper-level and is configured to permit distinct music to cover in the easiness sala, AV space and main living and eating space.